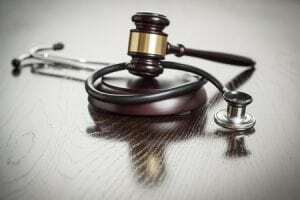 If you or a family member has fallen victim to medical malpractice, your life has likely been turned upside down. Not only is the physical injury you experienced holding you back from daily tasks, but it’s also holding you back from returning to work. The truth about injuries like this is that they’re harrowing on almost all planes – after suffering medical malpractice, you can expect emotional, physical, and financial turmoil. This is when an attorney’s help is needed the most. Many people mistakenly believe that if they hire a medical malpractice lawyer, they will end up spending most of the settlement on attorney’s fees. Attorneys who practice injury law typically collect a contingent fee after the settlement is received – and only when their client wins. Most fees, however, are a percentage of the settlement obtained and reasonable. With the help of an attorney, you are much more likely to receive a higher settlement than if you attempted to handle your case alone. This is especially true in car accidents and other types of personal injury cases, as well as medical malpractice cases. These are complex and protracted cases that involve battles between medical experts. There are many tripwires and nuances in a medical malpractice case, so laypersons can often lose a meritorious case. With an experienced practitioner, the settlement is more than enough to offset the fees of hiring a lawyer – and then some. One of the most frustrating things to deal with when knee-deep in a malpractice claim is insurance companies and the dreaded red tape. Medical bills are often sent to collection if unpaid for some period of time, even if you cannot work or afford to pay. Communicating with insurance adjusters and handling the mountain of paperwork that comes with a claim is often intimidating for individuals who are injured or families of people critically hurt or killed due to physician or hospital negligence. Working with a malpractice attorney can help relieve you of the burden of paperwork and going back and forth between the insurance company, collection agencies, doctors, hospitals, and other parties involved. If you or a loved one were hurt while under a physician’s care, you deserve fair compensation for your injuries, medical expenses, lost wages, and other damages incurred because of the doctor or hospital’s negligence. A medical malpractice lawyer will aggressively champion for your rights and best interests, seeking a settlement that ensures no expenses related to the incident now or in the future have to be paid out of your pocket. When you or a family member are the victim of malpractice, it’s important that you don’t delay. It is vital to seek information and guidance from a professional in this field. The earlier we are contacted, the sooner we can help. Contact us today to learn how we can help you bring forward a compelling claim that affords you and your loved ones the compensation you rightly deserve. Call today at 877-229-1515 for a consultation.